There is a 1964 photo by Olive Cotton titled Power House. Far more dramatic than my prosaic view, it is taken from an angle that is now completely blocked by large radiata pines to the right in my photo and the power house that makes up half her photo has since been demolished. The stacks seen in my photo are the much larger stacks of the later more distant second power station. The dramatic angle used by Cotton would now be regarded as rather stagey, my drab frontality more acceptable since the work of Bernd and Hilla Becher. The Olive Cotton photo has been questioned, is it incorrectly identified as Wallerawang? 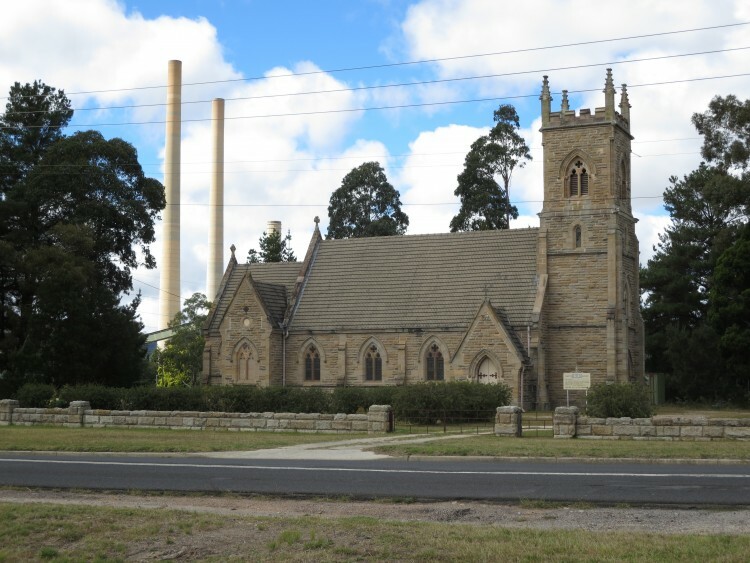 Similar but obviously not Wallerawang you would decide, if you didn’t know the history of the site.